How pure would you be if every bad thought or deed poured out like smoke? 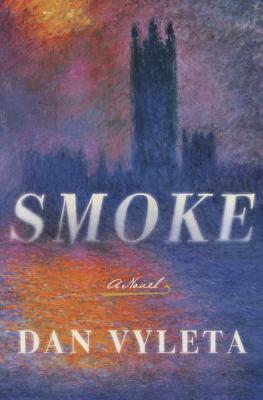 Part fantasy, part mystery, Smoke is set in industrial-age London, where smoke seeps out of your body in varying degrees with every sin you commit. The city is polluted with smoke, which infects its inhabitants with thoughts of lust and malice. The nobility live outside of the squalor of the city, and send their children to boarding schools to learn the discipline to keep themselves clean. Smoke follows two of these schoolboys as they are pulled into a conspiracy that threatens to dissolve their whole society. A pulse-pounding narrative that is both a depiction of a stark class divide and an exploration of the nature of sin and what it means to be human. "Vyleta's Gothic YA fantasy is part Dickens, part dystopia and totally immersive; a book as eerie and atmospheric as its sooty muse." —Entertainment Weekly's "Best Books of 2016 so far..."
"Astonishing . . . It's filling in that gaping hole left by both Harry Potter and Philip Pullman's Northern Lights. Yes, really."